A little bit of decor goes a long way towards making a fun space for kids. This Christmas we show you some of the most stunning and unique room decorations to give as the perfect gift. Wall art is a fabulous present solution for any child. Even if they already have some, why not freshen up the room with a new design? 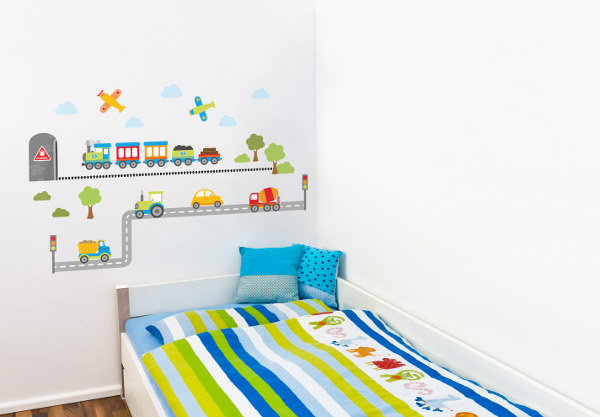 Bright Star Kids have a gorgeous range of wall stickers for boys and girls, including this cool transport set for $49.95. This laser cut wooden clock from Nest Accessories is sure attract a lot of compliments. There’s the hot air balloon, robot, love heart and more to choose from. 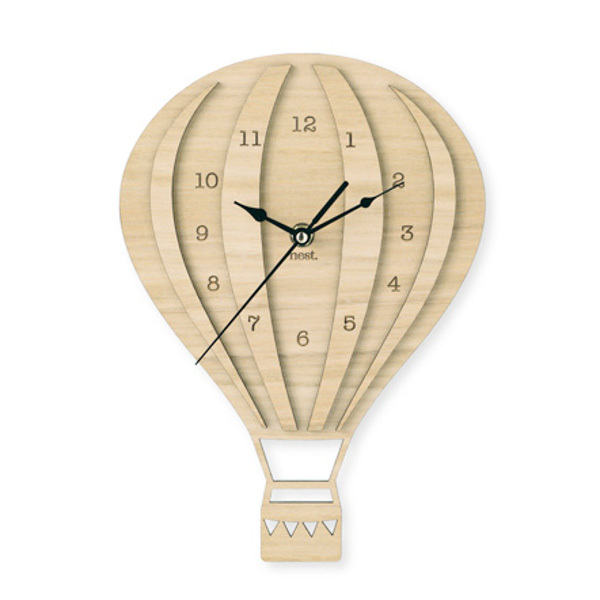 Made from Bluegum veneer and sourced from sustainable forests, these clocks cost $90. I’m a little obsessed with kids’ doona covers. They can transform any dull bedroom into a special place where kids love to play, sleep and have fun. 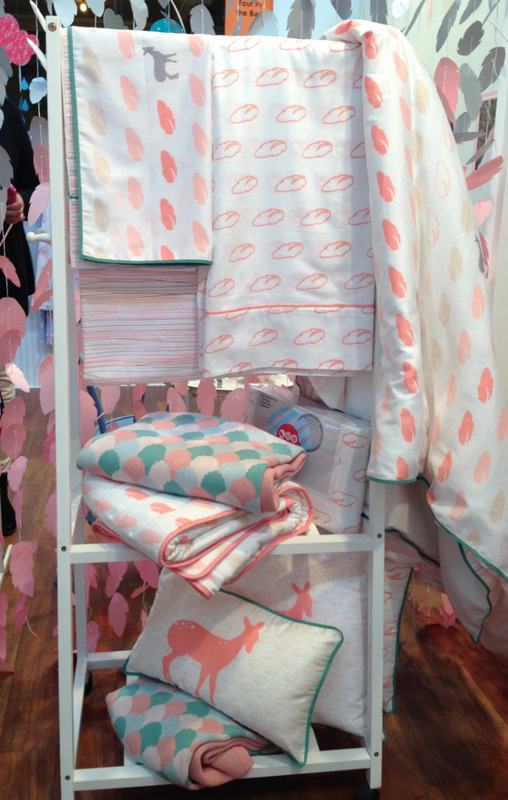 At $160, this Oh Deer Doona cover by Goo Collection isn’t the cheapest you’ll find, but its design is so sweet. 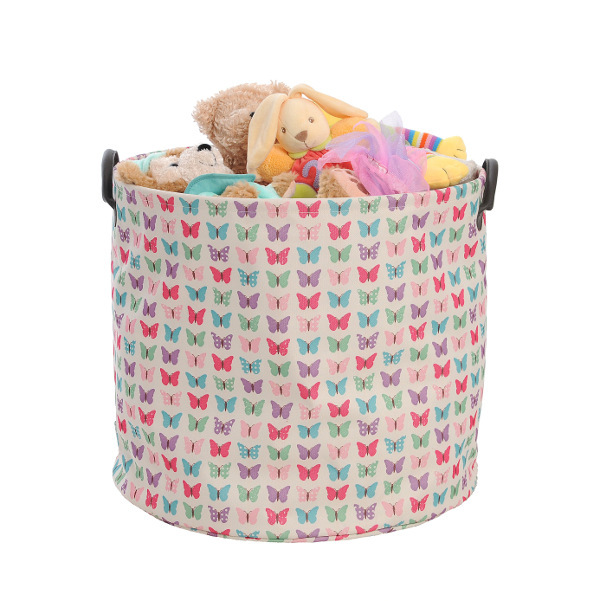 If you’re looking for storage units that don’t look like they belong in a warehouse, look no further than mor-stor’s butterfly printed canvas tub. Cute and practical, these tubs are big enough and strong enough to hold a hefty twenty kilos of toys! For $49.95, that’s a whole lot of mess gone! If only the births registry printed birth announcements like Mini Monsterz. 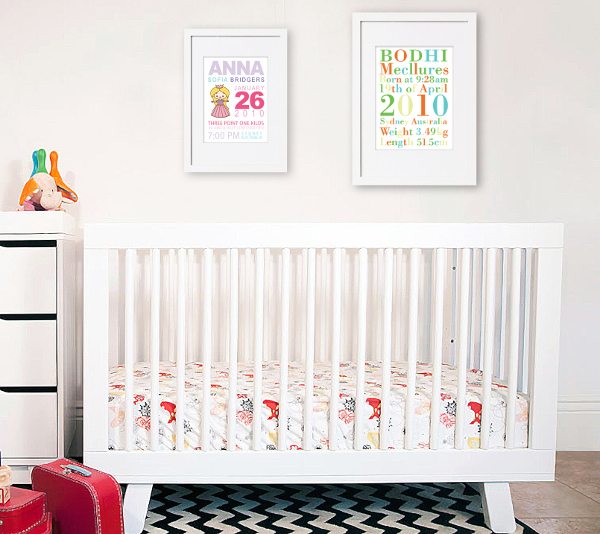 At $59.95, these colourful prints instantly personalise a room and make for a treasured keepsake. Best of all, this gift is so unique you can be sure you won’t double up with any other presents. 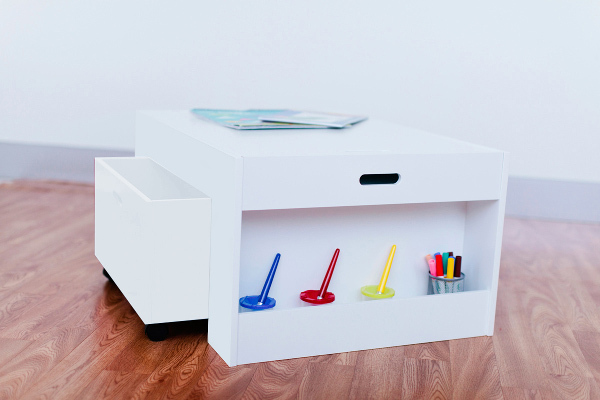 This activity table from Mocka is no ordinary activity table. It comes with two storage slots, a drawer underneath and just like that, you contain all the crafty bits in one neat space. At $119.95 it’s worth every penny. Bean bags get a makeover with Cocoon Couture bean bag covers. 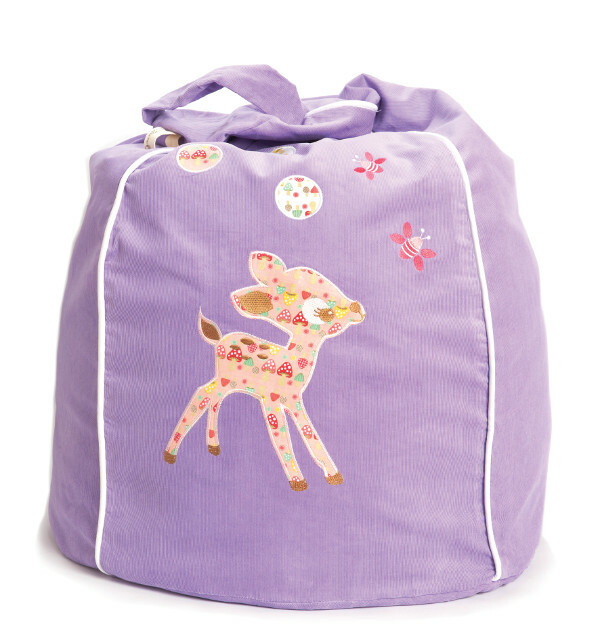 This vintage-style deer cover is not only terribly cute, but it’s made of pure cotton pinwale cord so it can withstand everyday use. They sell for $85 and there’s a range of designs and colours to choose from. Every child needs a night light to keep them company at sleepytime. 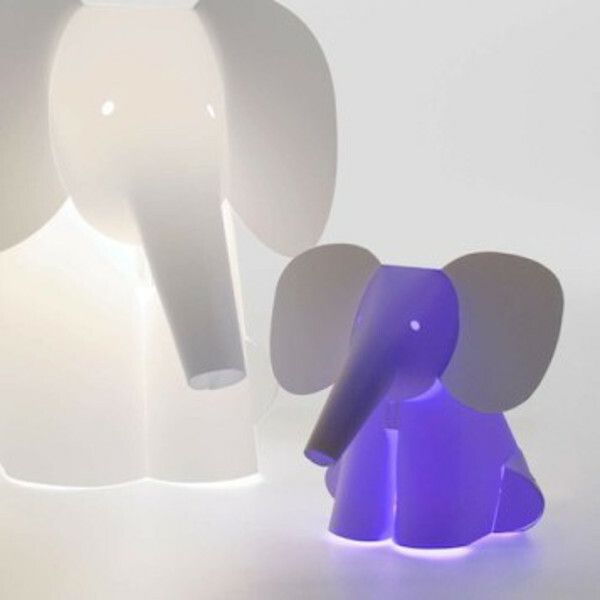 The MooWoo Mini Zzzzoolight is an easy way to brighten up any kid’s room. They will love the way it changes colours with a double-clap. Chose from the elephant, cat, penguin or fish. Costs $41.95. Want a decoration with a practical use? 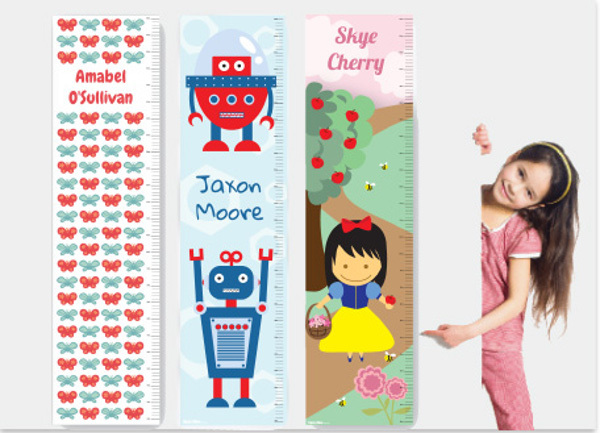 Hippo Blue‘s height charts cheer up any room and a great way of keeping an eye on your growing kids. Hippo Blue personalise their charts and you can choose from a wide range of themes. Currently on sale for $24.95.